Mrs. Ernestine Wood Ball, 76, of Tifton passed away Friday, March 22, 2019. A celebration of her life will be held at a later date. 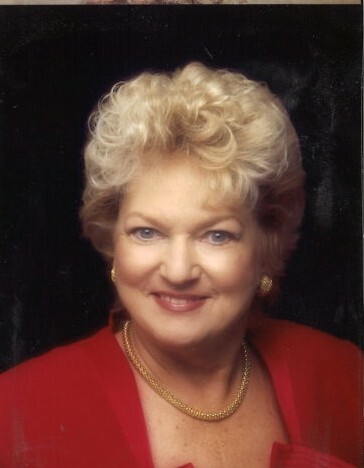 Ernestine was born on November 11, 1942 in Tifton, Georgia and is the daughter of the late Bennie Ernest Wood and Eula Gertrude Cox Wood. Ernestine was a member of the First United Methodist Church of Tifton and also loved to worship at Union Grove Church of God, Eldorado. She is survived by her husband, who was the love of her life for more than 56 years, James Wendell Ball and their three children: Victor J. “Hoss” (Kathy) Ball of Tifton; Vincent R. “Joe” (Helen) Ball of Tifton; Vonda M. “Missy” (Chip) Copeland of Muscle Shoals, Alabama. Brother Joel (Marsha) Wood of Cordele and sister Brenda (Van) Smith of Tifton. Six Grandchildren: Chanen (Lisa) Rowe, Cody J. Ball, Jordan and Carson Ball, Jayden and Jack Baldree. Two great-grandchildren: Kaden and Kyndal Rowe. A special son-in-law Charles Lamar Baldree, Jr. and many nieces and nephews. Ernestine was a very beautiful person inside and out and was adored by her family and many friends. She was a devoted follower of Jesus Christ. She prioritized her family and live life to the fullest, always naturally maintaining a positive attitude and sunny disposition. An encouraging humorous joke or life-lesson quote was her trademark for every occasion or situation that would or could arise. She enjoyed playing the piano, singing, snow skiing, going to church, spending time with her many friends, family, children, grandchildren and great grandchildren. She attended Lee College University, Cleveland, TN. In her earlier years she enjoyed working at ABAC as an administrative assistant for the Science and Math Department; Tifton Chamber of Commerce; State Leadership Board of Directors of the South GA AGLOW Women of Faith Fellowship; a Sunday School Teacher for many years. Ernestine was the greatest person in the room because she knew how to make everyone else feel great! You may sign the online guest register at www.albrittonfuneral.com.